This year marks the fortieth anniversary of Rudolfo Anaya’s masterwork, Bless Me, Ultima. Over the decades, many scholars and book critics have written of the novel’s landmark approach to subject matter, language, religion and culture, so I will not attempt to do what has been done by those who are more capable than I. I will, however, direct you to this article on Anaya which will lead you to many fine analyses and commentaries regarding Bless Me, Ultima. What I did want to do in this week as La Bloga celebrates the fortieth anniversary is to share what we, as writers, have gained from reading and absorbing Bless Me, Ultima. 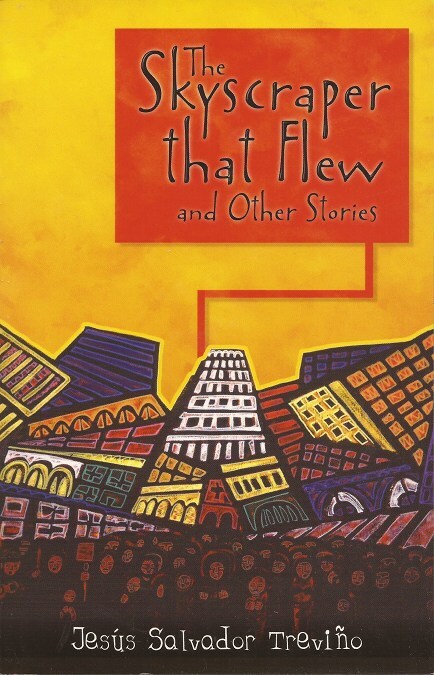 I came to the novel late in life, reading it for the first time in 1998, the year I started writing fiction. Though I had taken various Chicano-themed classes at Stanford University as an undergraduate back in the 1970s, those classes were in the areas of anthropology, sociology and health care. 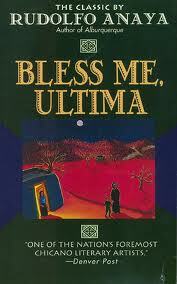 And you must remember that Bless Me, Ultima was not featured on college reading lists the way it is now. Indeed, my son read it in high school (he loved it). We’ve come a long way since then, though the recent attacks on literature by misguided politicians and their angry followers have not gone unchallenged. But that is a topic we've covered, and will continue to address on La Bloga. This week, we celebrate Bless Me, Ultima. 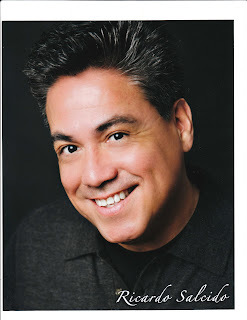 In any event, in 1998, at a ripe thirty-nine years of age, I decided to write fiction so I delved into as many books by Chicanos/as as possible with the goal of reading as a writer. I do believe that Bless Me, Ultima was at or near the top of my list. I read it over the course of two days, unable to put it down. The language, the characters, the conflict all rang true. Readng Anaya's words transformed me in ways too powerful and subtle to express accurately. 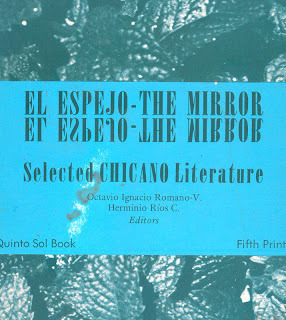 But I do know that the novel shaped me not only as a writer, but as a Chicano writer. Through Anaya's example, I now felt free to imbue my writing with the reality of the Chicano experience with pride and honesty. Bless Me, Ultima set me free artistically and even intellectually. I was transformed. Period. “I first read Bless Me, Ultima along with my son for his 9th grade AP English class. It sent tingles up my arms because it was my New Mexico experience, something my L.A. boys only got to experience twice a year. My spirit blossomed and my writing did, too, especially while writing my novel set in 19th century Santa Fe.” –Sandra Ramos O’Briant, author of the forthcoming The Sandoval Sisters’ Secret of Old Blood. To keep track of what we’ll post on La Bloga each day this week regarding the fortieth anniversary of Rudolfo Anaya’s Bless Me, Ultima, please visit here. 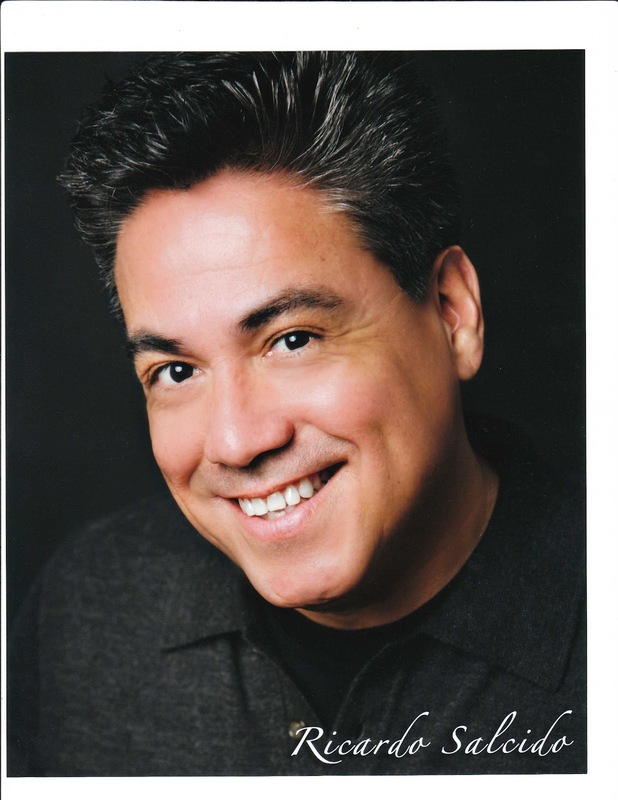 Welcome to Rudolfo Anaya week! 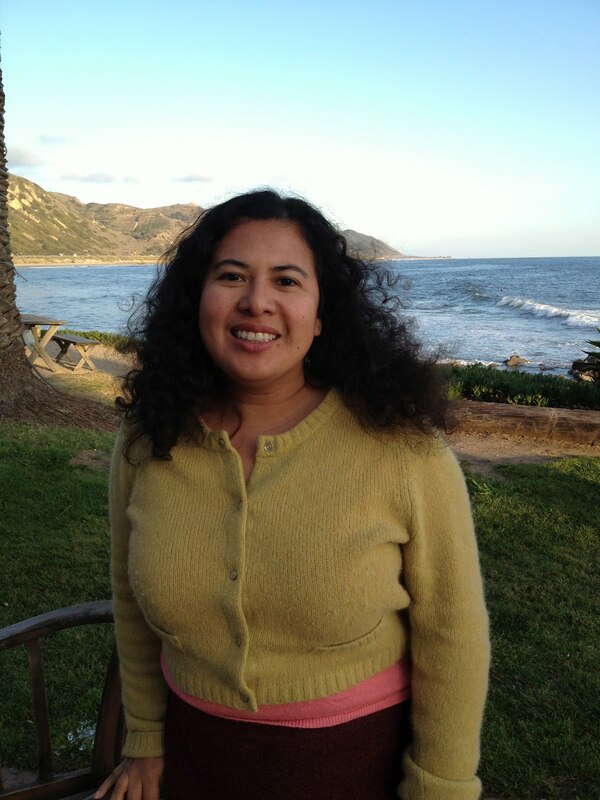 La Bloga is celebrating the fortieth anniversary of Bless Me, Ultima by taking each day this week to focus on the important impact the novel has had for readers and writers and in the formation of Chicana and Chicano literature. Bless Me, Ultima’s publication in 1972 contributed to an already growing body of Chicana and Chicano literature. 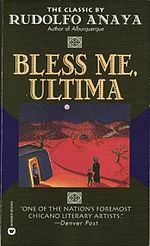 Since 1972, Bless Me, Ultima has also inspired and encouraged a new generation of writers to continue exploring various dimensions of the “coming-of-age” story or the “bildungsroman” as it is more technically called. The German word “bildungsroman” means “formation” or “educational novel." And this is what Bless Me, Ultima is about: the “formation” or “education” of a boy named Antonio Márez y Luna. My own growing up was one of spending summers in Mexico con familia, understanding their concerns and joys, and similarly understanding my Mexican American familia here. I saw family members in Mexico struggle with their sexual identities there while I tried to figure out my own too all the while reading so many interesting stories and novels from Mexican and Chicana/Chicano authors I could find at the time. Intracultural struggles of identity formation is what I experienced and what all of us experience on various levels. Bless Me, Ultima and the character of Ultima, specifically, gave me the courage to trust in myself: to continually search for that which brings forth various levels of complex harmony instead of disintegration. And that is what literature does. Literature brings us closer to an understanding of who we are in all our complexities while appreciating the aesthetic qualities of literary craft. Literature saves lives because it provides a space of contemplation for critical thinking. For over 25 years, I have had the privilege to witness students reading and discussing Anaya’s work, picking out aspects to the novel I never had thought about before! They have done readings of the novel in conversation with Shakepeare’s The Tempest (and isn’t it interesting that The Tempest has been banned in Arizona!). They have given a queer reading of the text using Arturo Islas’ novel, The Rain God: A Desert Tale and Emma Perez’s Gulf Dreams. They have presented transnational readings of Bless Mi Ultima with British novelist, Jeannette Winterson’s, Oranges Are Not The Only Fruit. 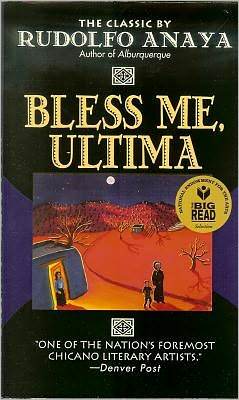 How then do I figure out what books to read in a class that includes Bless Me, Ultima in order to facilitate stimulating discussions, high critical thinking? Choosing books for a course is always exhilarating and daunting. The daunting aspect to the “creation” of a course book listing is the continual overwhelming feeling that one will never get to read everything, that there are so many books (how does one choose? ), that the books chosen may not gel as a body of work, that I will forget the one book that would have made the entire listing perfect! Loving literature and keeping in mind the power of literature helps allay these worries. The exhilarating feeling really permeates the entire process. Why? Because the process is a meditation in literary feasting, in considering all the many voices that describe our Chicana and Chicano/Latina and Latino identities, perspectives, and concerns. The listing and descriptions below are only just a few of the works I use in the classroom that work very well with Bless Me, Ultima. These are novels, short stories, and I am also listing critical theoretical works which would work in a high school senior advanced or honors course and in the college classroom. Bless Me, Ultima can be taught in junior high and high school and at the college level. 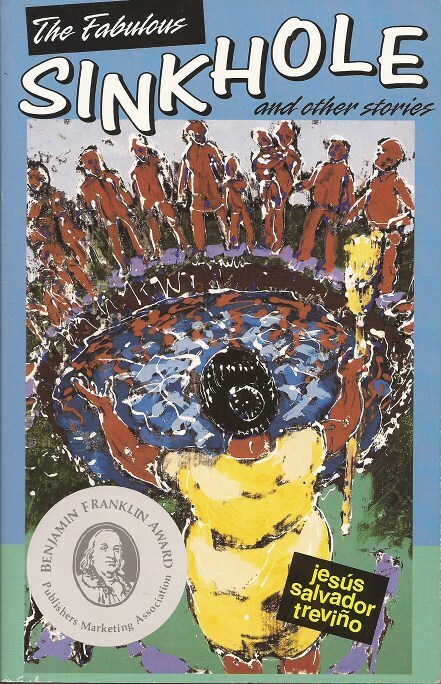 At the junior high and high school level, I have taught this book with Sandra Cisneros’ House on Mango Street, Luis Rodriguez’ Always Running: La Vida Loca: Gang Days in L.A.; José Antonio Villarreal’s book, Pocho; and Ana Castillo’s novel, So Far From God. At the senior high school and college levels, Gloria Anzaldúa’s exceedingly important work, Borderlands/La Frontera: The New Mestiza is a necessary discussion with Anaya. Helena María Viramontes’s novel, Under the Feet of Jesus and the anthology Telling to Live: The Feminist Testimonios by The Latina Feminist Group; Norma Cantú’s Canícula: Snapshots of a Girlhood en la Frontera; Alicia Gaspar de Alba's The Mystery of Survival and Other Stories; The Last Generation (and also various plays) by Cherríe Moraga opens up very diverse discussions regarding “coming of age” from Chicanos/Latinas and Latinos experiencing a multitude of geographic/cultural perspectives as well as familial and political histories. At the university level for graduate students I have facilitated exciting and complex Bless Me, Ultima discussions with the works I just mentioned in the previous paragraph—and I add to that John Rechy’s City of Night; Junot Diaz’s The Brief Wondrous Life of Oscar Wao; Sandra Cisneros’ Woman Hollering Creek and Caramelo; Emma Perez’ Forgetting the Alamo, Or, Blood Memory; Achy Obejas’ Days of Awe. And with these discussions, a background in theory is helpful which I do with Chela Sandoval’s important theoretical work, Methodology of the Oppressed and Eden Torres’ Chicana Without Apology. There are more, many more works that I am missing, that you may be thinking of as you are reading this. Please add to this list! I encourage you all to take pleasure in these readings, take the time to read, contemplate, and discuss the importance of our many Chicana/Chicano and Latina/Latino voices! Posted by Amelia ML Montes at 10:49 AM 1 comments. Click here to leave a comment. 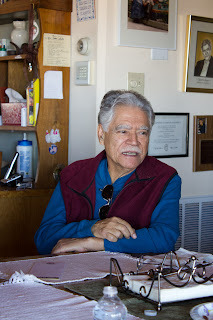 For this 5 de Mayo, beginning tomorrow, gente all across the Internet can join La Bloga in celebrating the 40th anniversary of TQS’ publication of Rudolfo Anaya’s Bless Me, Última. April 29 Sunday. 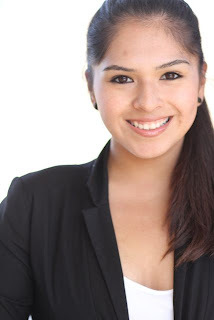 Amelia Montes. Teaching Última texts. Amelia's column on the teaching of the book and what other texts complement teaching his and why--especially texts now banned in Arizona and Mexican American/Chicano Studies being outlawed there. Una conversación regarding la literatura! April 30 Monday. 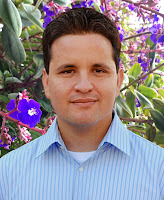 Daniel Olivas. Anaya's influence on authors. Daniel has some great comments from writers about the influence of Última on their writing. He's compiled discussions on their relationship to Anaya's novel and its impact on Chicano and Latino writers. May 1 Tuesday. Michael Sedano. Mystery & fantasy. 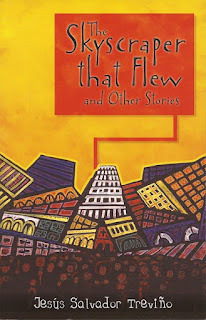 An appreciation of Anaya's detective fiction & folktales, and a possible Última floricanto. May 2 Wednesday. René Colato Laínez. Anaya's children's lit. 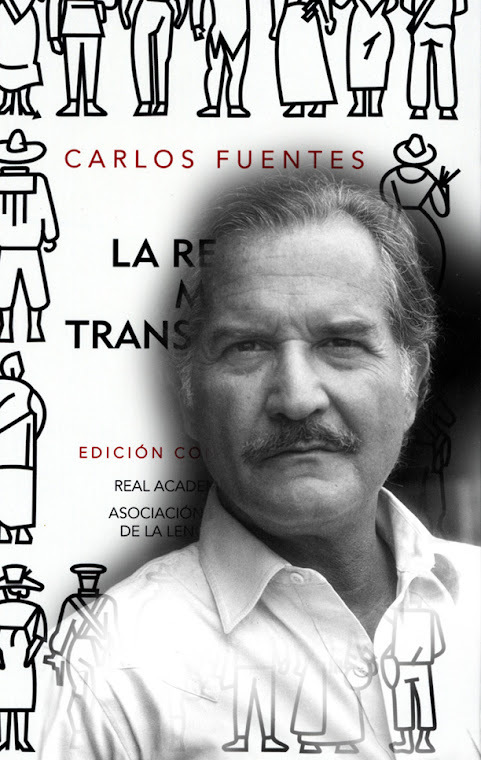 René will discuss the character of curanderas in Anaya's children's books and picture books. May 3 Thursday. Double post. 1. Última en traducción y más. Lydia Gil's entry on Spanish translations of Anaya's texts, including Bendíceme. 2. Flying witches & fireballs. 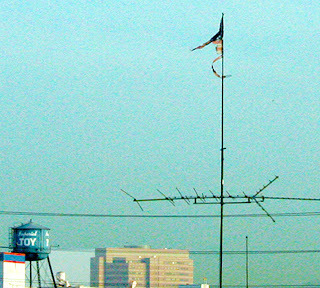 Ernesto Hogan begins with a passage in Bless Me Última about flying witches looking like fireballs in the sky and will explore the traditions of strange objects in the sky over Aztlán that began before Roswell, including a glowing object Ernesto observed above the Superstition Mountains. Brujas? Aliens? May 4 Friday. Manuel Ramos. Interview with Anaya. Ramos recently conducted an interview wherein Anaya expressed his appreciation of this celebration. His exact words were "Que viva La Bloga!" May 5 Saturday. Rudy Ch. Garcia. Última revisited. To wrap up the week, some pensamientos on Última's timelessness. Throughout the week La Bloga readers may leave Comments. But this Sat. post will also be reserved for last-minute messages of felicidades to Anaya or your own pensamientos about Última. Posted by Contributing Bloguistas: at 1:50 AM 2 comments. Click here to leave a comment. In the past two months, I’ve had the pleasure of visiting Cal State University Fresno, El Paso Community College, and Cal State University Channel Islands. Most of campuses have invited me to discuss my novel, Ocotillo Dreams. However, I always start off with something I learned to offer in Louisiana, “lagniappe,” meaning a little something extra. In my presentations, it means I introduce readers to my poetry and talking about my journey as a writer. I’m humbled by the positive feedback of my poems and a bit surprised by how hungry students are for poetry. I haven’t put my finger on the issue, but I have a feeling that some people are afraid of poetry. I had a friend tell me that he doesn’t get poetry and therefore only reads fiction and non-fiction. I don’t buy it. Given that so far I’ve only written one novel, the answer is much easier than the proverbial chicken and egg question. Poetry remains my favorite love (to use El Ray Bradbury’s expression, he calls all forms of writing and genres loves). I love the instant gratification of working on a poem and seeing a finished draft after scribbling words on a blank piece of paper. And yes, I always start with pen and paper. Sometimes the page is not blank. I’ve written notes on scraps of paper that have become future poems, such as receipts, napkins, and ATM stubs. Similar to things I jot down in the middle of the night, being able to read my writing is not as important as making the note to self and having a tactile reminder. The act of jotting down some words or phrases helps me remember my original intention. While I love stories, both fiction and non-fiction, I believe it’s all about the poetry, the music, and the rhythm of words. I’m especially thrilled when readers of Ocotillo Dreams appreciate the poetry in my prose. I’m currently working on a new novel and I am excited that Tia Chucha Press will publish my first full-length book of poems, How Fire Is A Story, Waiting, (Fall 2012). Next week, on Cinco de Mayo, I have the pleasure of joining Michele Serros, Heidi Durrow, Susan Dunlap, Candacy Taylor, and Karen Tei Yamashita at the 7th Annual Women’s Literary Festival, Saturday, May 5 at Fess Parker’s Double Tree Resort in Santa Barbara. The Registration Fee of $65 includes a.m. coffee, lunch and author presentations. Scholarships are available. Register at womensliteraryfestival.com. Next month, Toni Margarita Plummer and I will be on the first book panel at the Santa Barbara Writers Conference, June 9-14. Sunday, La Bloga kicks off Anaya Week, celebrate the 40th Anniversary of Bless Me, Ultima all week with La Bloga. News: The Mesilla Cultural Center needs your help. 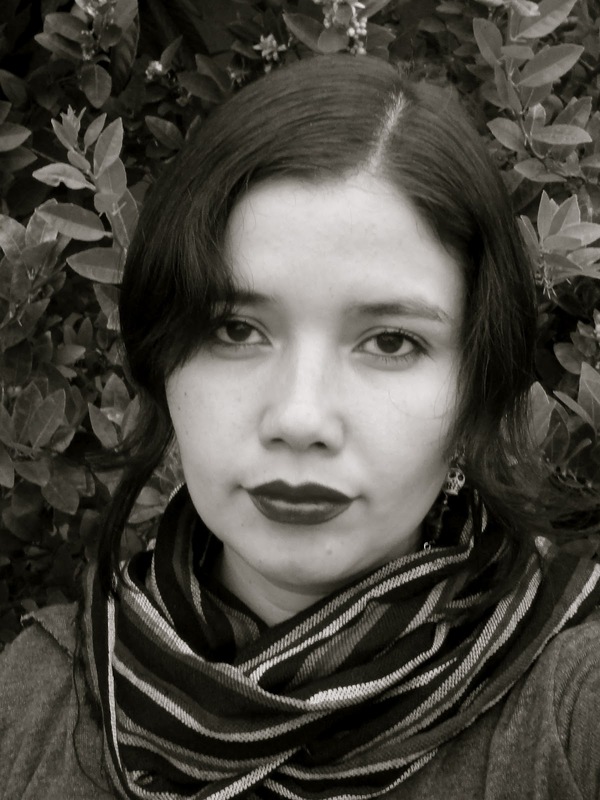 We’ve reported on the center’s librotraficante event, the past Border Book Festivals, and the wonderful center in New Mexico, headed by Denise Chávez. Here’s more information on how you can help the center relocate and keep its doors open: Help the Mesilla Cultural Center. Posted by Melinda Palacio at 12:00 AM 3 comments. Click here to leave a comment. 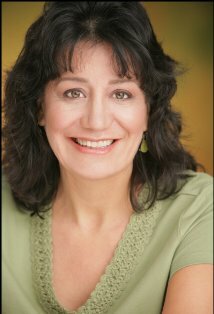 Recently I had the honor of being interviewed by Jesús Salvador Treviño, of Latinopia.com, and Barrio Dog Productions. His killer résumé as an award-winning filmmaker and television director impressed me. Since he directed episodes of Star Trek: Deep Space Nine, Star Trek: Voyager, and Babylon Five, I had to tell him that at a science fiction convention, people would be ignoring me and crowding around him. But it turns out he’s also a writer, and a damn good one. 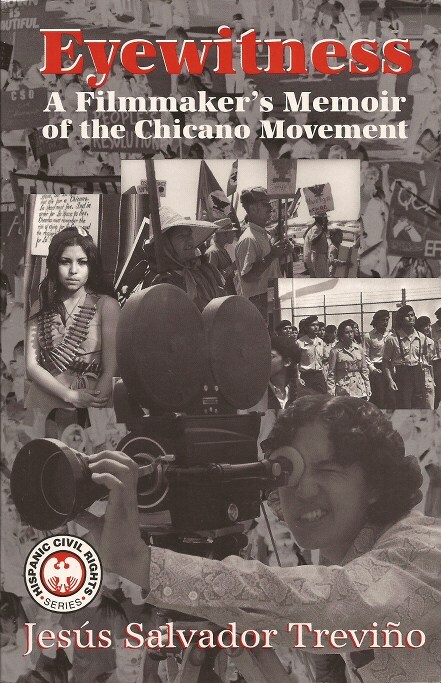 His Eyewitness: A Filmmaker’s Memoir of the Chicano Movement should be required reading in schools throughout Aztlán, even though it would probably be banned in Arizona. It documents the movement, its history, and personalities like César Chávez, Rudolfo “Corky” González, Luis Valdez, and Oscar Zeta Acosta, and illustrates the importance of the media in promoting social change. Memories exploded as I read it, and gaps in my knowledge were filled in. The subject comes to life with the epic sweep of a Great Chicano Novel. This book is not only informative, but a joy to read. With The Fabulous Sinkhole and Other Stories Treviño proves that he can write fiction like a master. These stories are centered around the town of Arroyo Grande, Texas, a creation worthy of García Márquez or Fellini, where elements of magic realism, fantasy, and the humor and rascuachi of Chicano life combine. Here characters demonstrate a vast range of Chicano personas that live in a fantastic universe fill of miracles, ghost mariachis, love magic, talking flies, and lowrider zombies. The final story, “The Great Pyramid of Aztlán,” presents a positive vision of the future that's truly inspiring. The Skyscraper That Flew and Other Stories brings us back to Arroyo Grande, its people and magic. There’s also time travel, and the Space Age alien abduction mythology plugged into lively barrio life. This time we deal with alcoholism, gangs, and the media, but also have the pleasure of being in large Chicano celebrations -- something we don’t get enough of in art, literature, or the media. The final story seems to hint that there may be more -- I hope so. 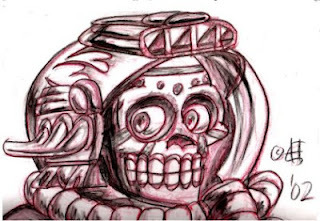 Treviño’s stories have the humanity and artistry of a Chicano Ray Bradbury, and are so fun I can recommend them to science fiction fans and Latino lit aficionados, as well as those who just enjoy good stories. Ernest Hogan’s novel Cortez on Jupiter was influence by Jesús Salvador Treviño’s documentary, América Tropical. Posted by ERNEST HOGAN at 8:43 AM 1 comments. Click here to leave a comment. 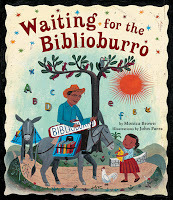 In Waiting for the Biblioburro (Tricycle Press/Random House Children’s Books), author Monica Brown and illustrator John Parra craft a tale for kindergartners inspired by traveling librarian Luis Soriano who carries books to children in rural Columbia on his two donkeys. 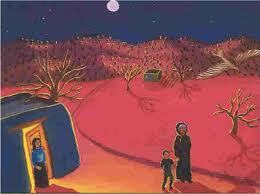 I knew before starting the art for Waiting for the Biblioburro that it would be a very special children's book. It began when I heard the moving story of librarian and teacher, Luis Soriano Bohórquez, and his amazing work in the rural areas of Columbia. Mr. Soriano, accompanied by his two donkeys, Alpha and Beto, travel throughout the back roads and countryside of his territory to deliver books for kids who have little to no access to libraries or schools. Once there he reads and teaches his pupils the joy of reading, learning, and using ones imagination. He also allows the young students to borrow books from his Biblioburro and then return them with his next visit. It is not hard to be inspired by this wonderful tale of a modern day hero especially when the story inspires a wonderfully written children's narrative by author Monica Brown. 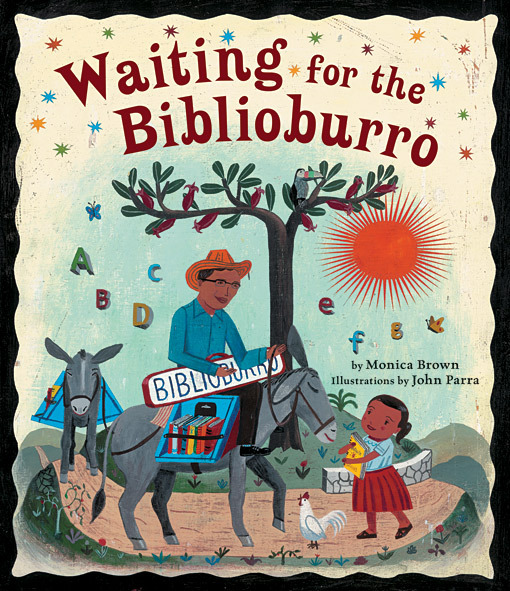 Monica's story for Waiting for the Biblioburro, tells of Mr. Soriano's tale beautifully fictionalized through the eyes of a young girl named Ana who loves books and loves to read. As I created the drawings for the book I found many wonderful reference images of Luis with his burros, the kids he visited and small villages, plus other images of farms, trees, rivers, plants, animals and even the insects as well as artwork and food, all from this rich and diverse region. I love when I get to research these projects because it gives me a chance to visually step into the characters shoes and see what they might see. Through this observation and my own imagination I can create the artwork. From the Waiting for the Biblioburro book there are a few pages that I enjoy very much, the first is the image where Mr. Soriano places out all his books that he brought for the kids to see, then reads and teaches to them, all under the shade of a small tree. This page brings back memories of myself when I was young and visiting my local library in Santa Barbara to hear a good book read. The other page I enjoy is where Ana is dreaming that she is flying on the back of a butterfly, soaring over jungles, rivers and villages, as she delivers her own created stories for friends and family. This reminded me of myself as an artist and how I love to dream, create and share my art work with others. It is in this spirit that Waiting for the Biblioburro was created, aspiring to reflect values that a person with dreams and ideals can make a creative, positive, and significant difference in another's life. Listen to Monica Brown at www.colorincolorado.org -Meet the Author Series. Monica introduces us to the librarian who inspired Waiting for the Biblioburro. She describes what she learned in her research for this book. Finally, she reads aloud from Waiting for the Biblioburro. Visit Monica Brown at monicabrown.net. Posted by Rene Colato Lainez at 10:53 PM 0 comments. Click here to leave a comment. Now accepting fiction and nonfiction writers. 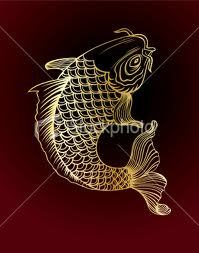 Genres include novel, poetry, anthology, playwriting, memoir/biography and popular culture. Registration fee covers all workshops, interviews, conference activities, refreshments and evening banquet. For more information call (505) 724-4747. 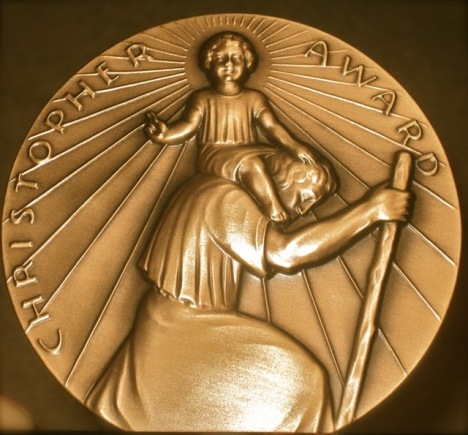 In addition to workshops and immersion in writinglandia, the the NLWC invites the general public to the announcement of this year’s Premio Aztlán. NHCC is the nation’s cultural secret, something Clara Apodaca and her staff at the institution’s volunteer Foundation are correcting through tireless and creative fundraising. The galleries, el Torreón, the NHCC itself, deserve to become an international cultural tourism destination. Attendees at this year’s NLWC will see for themselves. Summer of my college sophomore year I labored at Kaiser Steel in Fontana California. Shoveling slag fallen off glowing ingots the size of a VW beetle, for eight, often sixteen hours at a time was wonderful, incredibly physical labor. Earning $3.00 an hour, I pulled down $3300 that paid for the following year of UCSB. In those days, $3300 went a long way; in Isla Vista, for example, my share of rent on a two-bedroom apartment was $115.00 a month. I was reflecting on tight budgets and lean times after seeing UCLA Chicano Studies Research Center’s May 6 deadline to apply to be their Getty Multicultural Undergraduate Intern. Getty describes the opportunity as Kaiser Steel-like, “full-time (40 hours/week) positions, each with a salary of $3,500, for a consecutive ten-week work period between June and August, 2012.” Sadly, I’m sure a two-bedroom apartment two blocks from the beach rents for heartbreaking monthlies, so this paid internship won’t support anyone's mind and body. Still, what a golden opportunity for someone with the middle-class ganas to spend the summer feeding their mind with experiences: typing metadata into computer files, filing books, cleaning and gluing ceramics manufactured in some Sicilian sweat shop nineteen hundred years ago, policing cigarette butts from the VIP lounge. Quién sabe, right? UCLA is looking for one, the Getty promises up to 20 jobs. La Bloga friend Roberto Cantu has started his final checklist preparing for next weekend’s event at the El Sereno campus located on the eastside of Los Angeles. For Gown, the provocative theme promises scintillating listening followed by informed conversation: Ancient Mexico, Modernity, and the Literary Avant-Garde. Scholars and gente interested in more depth may read the Conference Abstracts at the foot of the conference site. The Spanish-speaking cast includes Alejandra Flores as María Félix, Cristal González as Dolores Del Río and Ricardo Salcido as the Fan. The campus welcomes visitors to the Golden Eagle Ballroom who pay an $8.00 parking fee on May 5 for a 4:15 curtain. Maria Félix (laughing): If in my life I have slept in one hundred beds, I assure you I've only chosen ten of them. Dolores Del Río: And the other ninety? María (Directly): They were called hunger, ambition or violence. Dolores: We came looking for Hollywood, remember? María: Yes, like two elephants in search of their cemetery. When nobody offered us any films in Mexico, we decided to come to die in Hollywood, to bury ourselves in the fresh cement of the Chinese Theater. (Pause.) They didn't want us, not even here. Old Chicanas, old movie stars? To the trash can. Everything here is a trash can. Nothing should be useful for more than ten days. This year’s 31st jam occupies a pair of San Antonio sites. The Guadalupe Cultural Arts Center hosts events between May 18 and 20 while nearby Rosedale Park fêtes conjunto May 15 – 17. Over 35 bands perform, along with sessions for student recitals and booths. Ticket buyers and fence listeners expect to hear star-studded performances by an array of players from celebrated hall of famers to debut artists. At as much as $40 three days, the Conjunto Festival brings the recession’s biggest music bargain. Organizers host a free Seniors Conjunto Dance, “New Directions” concert, and the Conjunto Music Hall of Fame Dinner & Baile. Locals and gente planning a San Antonio visit benefit from close inspection of datos linked at centro’s website. UC Berkeley recently celebrated the 45th anniversary of the founding of Tonatiuh Quinto Sol Publishers. 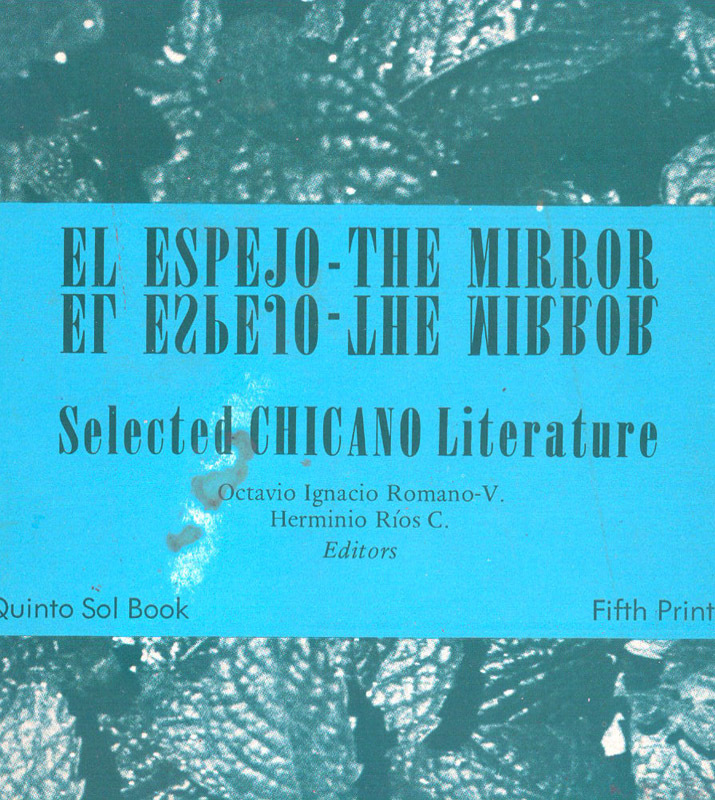 The company, led by Octavio Romano and Herminio Rios, published the world’s first “Chicano Literature” when it titled its revised edition of El Espejo The Mirror "Selected CHICANO Literature". As is the case with any live event, the only way to share Cal's celebration was to be in the right place at the right time and pay attention. 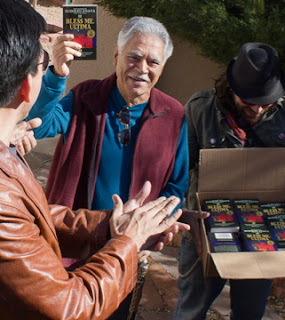 Next week, gente all across the Internet can join in anytime as La Bloga celebrates the 40th anniversary of TQS’ publishing Rudolfo Anaya’s Bless Me, Ultima. 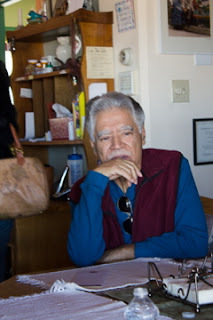 Visit La Bloga daily to share each bloguera’s bloguero’s observations reflecting on Rudolfo Anaya’s career, influence, and writing. Join the appreciation by leaving Comments for Don Rudy. “What is Chicano Photography?” The founders of La Bloga vowed to avoid the foregoing construction as one of those statements that resemble grammatical construction but is meaningless. It is what it is. Like my fundamental belief that by my putting some mayo and a slice of baloney on a tortilla de maíz and folding it for lunch, I am making a Chicano baloney sandwich. What’s Chicano about baloney?, purists object. First, Arizona came for the Mexicans with SB1070 and a few United Statesians tsk-tsked and laughed and filed a lawsuit. Then, the Tucson Unified School District came for the Mexicans’ books and few people spoke out because… the news is managed and gente do not realize what Arizona and TUSD are doing to books and ideas. Now Arizona is coming for the professors who write the books and teach the teachers who teach the books that educate the students. But the books, in the fascist’s Mexican-hating perception, are designed for members of a particular ethnic group, or make students want to overthrow the U.S. government, or resent another ethnic group, or believe membership in an ethnic group has more value than being an individual. 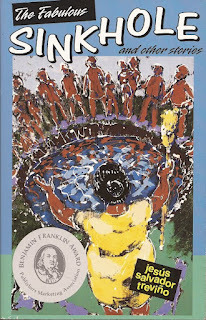 In La Bloga's latest banned books overview, La Bloga reports that, on the eve of oral argument in D.C. about SB 1070, only Tucson’s school administrators enforce A.R.S. § 15-112, the section of Arizona law about these purported teachings. The law continues in force throughout the state. 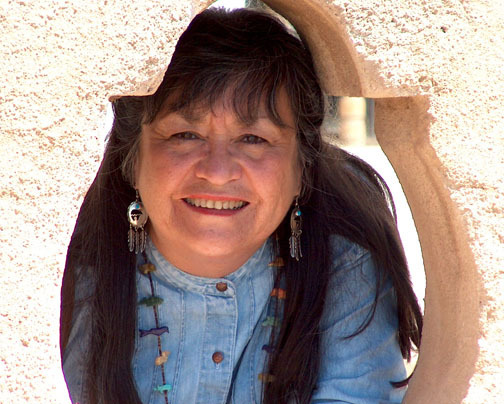 Tucson continues to single out Chicana Chicano authors in social science and literature. Bans on works by, among others, Sherman Alexie, William Shakespeare, bel hooks, Howard Zinn, Henry David Thoreau, remain in effect. Administrators have not yet announced plans to bury or burn the volumes currently stored in school repositories but freely available via Librotraficante clandestine libraries. Crummy as Arizona and Tucson remain, gente have one guaranteed-to-be-effective weapon when properly wielded: shoe leather. The People, yes, the people recalled SB 1070 author Russell Pierce. I'm sure it hurt Pierce to be dragged from the public trough and sent home to find honest work. In Tucson, gente are mobilizing an effort to recall an official making the United States a belly-wrenching laughingstock all over the world. O brave new world to have such creatures in it indeed! TUSD school board member Michael Hicks calls attention to his ilk’s set of beliefs in numerous published and broadcast statements. Hicks’ tea party obtuseness displays itself in a hilariously self-satirizing interview generously shared by the Recall Hicks campaign. The only people in the world with power to change TUSD school board members are certain voters in Arizona. 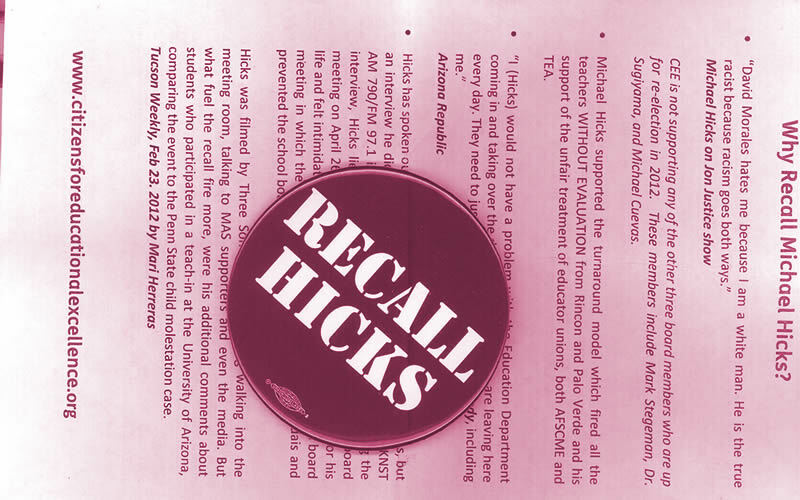 Only Tucson voters, in fact, have authority--freely given by the State--to print, circulate and sign petitions to recall inadvertent political satirist Michael Hicks. Signature gathering and submission must follow printed instructions precisely. Any exceptions, hire a lawyer. Then they came for the sympathizers and there was no one left to keep them from burning my books, too. There’s a new site design in store for La Bloga, with our software provider’s upgrade that's become necessary. La Bloga will feature a new look, including buttons to Like La Bloga on Facebook and other social media. Leave a Comment with ideas to make La Bloga meet your expectations. Latinopia has a new look this week. The site’s guiding light, Jesus Treviño, plans ongoing improvement to the look feel and functionality of the site, so regular visitors will find the changes useful. 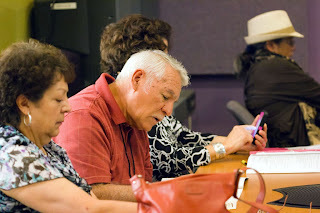 In the past two weeks, Latinopia’s continuing coverage of los Librotraficantes has brought visitors the caravan’s visit to Casa Anaya and readings from the NHCC floricanto organized by Richard Vargas and sponsored by Carlos Vásquez and the NHCC’s dynamic History and Literary Arts division. 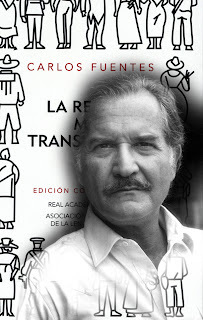 Con Safos, one of el movimiento’s leading magazines, introduced numerous writers and artists to public appreciation. Among them, Sergio Hernandez sketched the popular comic strip Arnie and Porfi. The one, an agringado guy looking for answers, the other a good friend gently inculcating a clueless Chicano to his own chicanidad. Latinopia brings Serge out of retirement to time warp Arnie and Porfi all grown up back to their youth. Celebrate, eSe! combines theatre and celebration in honor of eSe Teatro's 2 year anniversary. Entertainment includes snippets from works in progress, dance, and corporate business teatro-style, a theatrical Mission Statement. The plays include Oedipus el Reyand zapateo performance by Peru’s master dancer and choreographer Lucho Sandoval. As they go on to disarm you. With plans of false peace that set off a storm. With your children in the army they form. Silenced with no fight as it’s bought and sold. For nutritional value with no deadly consequences. In a move that will strip you of all you have got. That holds on to its true righteous roots. Through all the false dreams of material pursuits. And the song of their flower rising with each note. As the true elders gather to cast their vote. Waiting to cross into the U.S.
And a “Welcome to the U.S.” sign. The complexity of border life. Allons dormir sous l'arbre pareil à la pluie. 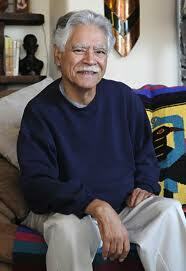 Manuel Lozano, self-taught writer and artist, lives in El Paso, “El Chuco,” Texas, cradle of the pachuco. Manuel writes traditional verse “to the rhythm of the Matachines.” His work has appeared in Xican@ Poetry Daily and La Bloga. 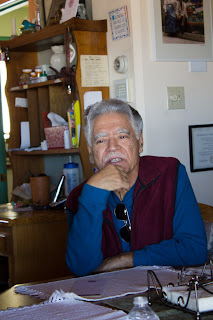 Visit his blog, Manuel Lozano: Xicano Writing. I studied Creative Writing at Fresno State University and have published poetry in El Tecolote, Red Trapeze and in The LA Weekly. 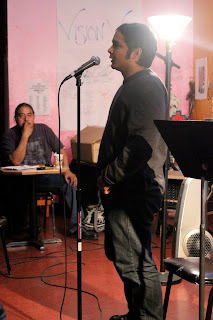 Recently, I have posted poems on Poets Responding to SB1070 and this will be my sixth poem published in La Bloga. I have performed (as a musician/political activist, poet) with Teatro De La Tierra, Los Perros Del Pueblo and TROKA, a Poetry Ensemble, lead by poet Juan Felipe Herrera. I have toured with several cumbia/salsa bands throughout the Central Valley and in Los Angeles. 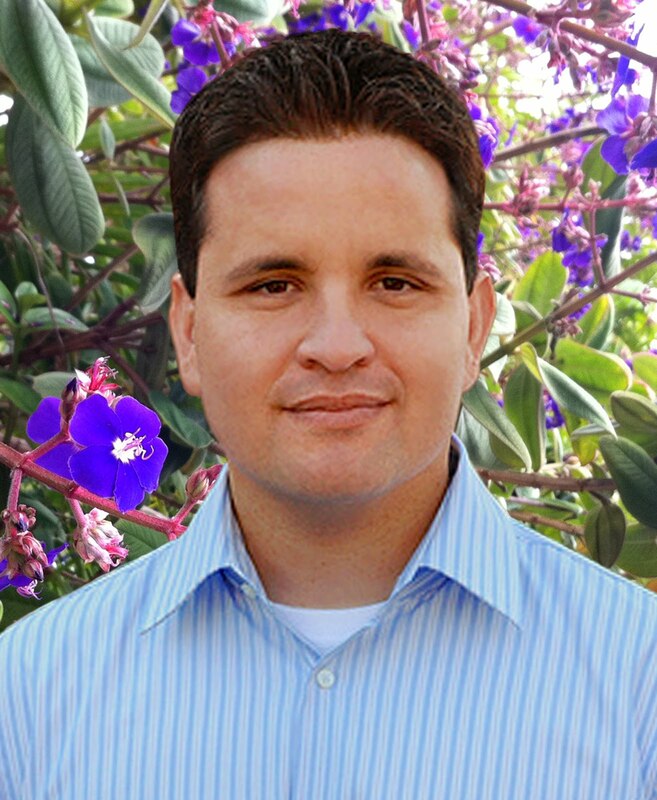 For the last 17 years, I have worked as an Administrator for a Los Angeles law firm. I make my home in Upland, California with my beautiful wife, Rosa America and family. Lastly, I am so proud to say that on April 20, 2012, I was fortunate to share the stage with El Maestro, Francisco Alarcon, in a benefit reading for Poetic Voices; Flor y Canto C.O.R.E., Fundraiser in Sacramento, California at the Guild Theatre and will be reading this poem for Escritores por Ciudad Juarez, in Los Angeles, Ca., on September 2, 2012. 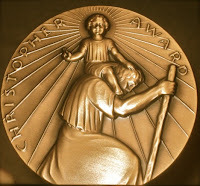 She recently received the 2012 Arizona Commission on the Arts Bill Desmond Writing Award for excelling nonfiction writing and the 2012 Arizona Humanities Council Dan Schilling Public Humanities Scholar Award in recognition of her work to enhance public awareness and understanding of the role that the humanities play in transforming lives and strengthening communities. 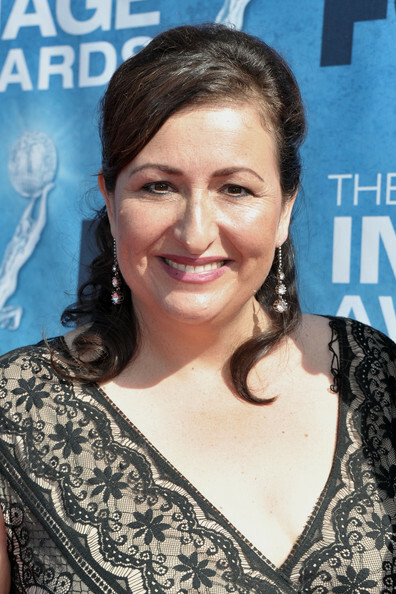 Elena is a writer, historian, and artist from Tucson who writes about Morenci, Arizona where she was born. She is the author of two books, Suffer Smoke and Water from the Moon. An Arizona Humanities Council (AHC) Scholar, Elena has performed as Teresa Urrea in a Chautauqua living history presentation and done presentations about Morenci, Arizona for twelve years. She is co-editor of Sowing the Seeds, una cosecha de recuerdos and Our Spirit, Our Reality; our life experiences in stories and poems, anthologies written by her writers collective Sowing the Seeds. A SIROW Scholar at the University of Arizona, Elena conducted an oral history project funded by AHC: “In the Shadow of the Smokestack.” A website she created contains the oral history interviews and photographs of Chicano elders living in Morenci during the Depression and World War II. Another project funded by AHC and the Stocker Foundation is “Tubac 1880’s Schoolhouse Living History Program.” Her website is www.elenadiazbjorkquist.net/. José Hernández Díaz is a first-generation Chicano poet with a BA in English Literature from UC Berkeley. José has been published in The Best American Nonrequired Reading Anthology 2011, La Gente Newsmagazine of UCLA, Bombay Gin Literary Journal, Kuikatl Journal, The Packinghouse Review, Revista Contratiempo, Blood Lotus Journal, among others. 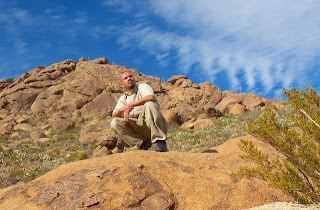 He has forthcoming publications in HUIZACHE Magazine, The Progressive Magazine, and in the anthologies, El Norte que Viene, and Tan cerca de EE.UU. (poesía mexicana en la frontera norte). He is currently an MFA student at Antioch University Los Angeles and he is fulfilling an internship with Floricanto Press as an Editor. In addition, he is an active moderator of the online group, ‘Poets Responding to SB1070,’ where he has contributed more than 40 of his own poems. Posted by msedano at 1:13 AM 0 comments. Click here to leave a comment. What it says–G.Grass. Museo Fashion.